Anthony Crimmins brings a unique skill set and passion for the game of lacrosse to the Dallas - Fort Worth community. Legacy: A former four year, NCAA Division 1 starter, raised in a family legacy of four generations of coaches, and a product of the THSLL Dallas North District, Anthony understands the commitment and discipline it takes to prepare for play in both the THSLL and for college lacrosse at the highest level. ESD 7/8 - 5th Year as HC. Helped ESD capture their first ever Dallas 7/8 Championship. They won back to back titles in '15 & '16. Many have asked to watch Coach Crimmins playing for Team Greece. You may be entertained by watching here. The facts speak for themselves. Crimmins has been a starter, captain, and offensive force on every team for which he played. His first college coach, Craig Kahoun, Division 1 - Butler University, described him as "a scrapper" who brings "game sense, shooting and a blue collar" effort to the program. Greek National Team (2017): Oldest player on team to play in all 6 games. Led the team in Goals & Assists at the age of 35. Butler University (2002 - 2005): Over the course of a four-year playing career at Butler, Crimmins played attack, midfield, man down middie, and short stick defensive middie. 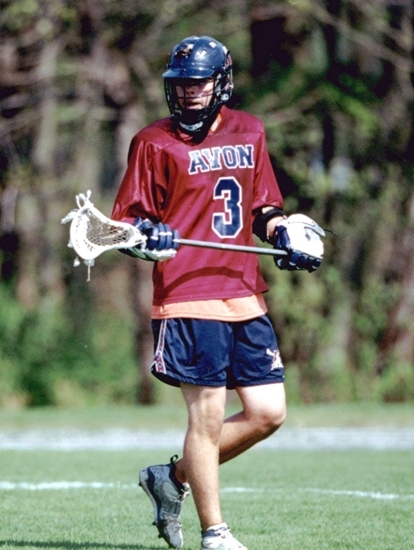 Avon Old Farms (2001): In the tough, Northeast Founders League, he was the second leading scorer on a team that sent ten starters to NCAA Division 1 Schools. Coppell High School (1997 - 2000): He was a four-year starter and two-time All-State at attack with 124 career goals and 100 assists. NCAA: Victories over Loyola (ranked #5), Hobart (ranked #7), and Fairfield (ranked #15) were his biggest college victories. NCAA: His best offensive efforts were against: #7 Maryland (2 goals, 1 assist), Notre Dame (1 goal, 1 assist); and Sacred Heart (2 goals, 2 assists). Prep School: "Playing at Avon was a special experience. Graham Gill (Navy), Bailey Witt (Johns Hopkins), Brett Garber (UMass) were great teammates and all went on to play in the NCAA Championship." "Final game of the season was against Loomis Chaffee our biggest rival and we beat them in OT with the entire school surrounding the field during a cold downpoor at their place. Pretty awesome." Texas High School: "In 1999, we beat Plano (1 OT), Highland Park (4 OT) on the road, and ESD at home. We finished the regular season 13-1. Our only regular season loss was a one-goal game versus Dallas Jesuit." Texas High School: "We won the Texas All-State game by double digits. I was able to play with Tommy and Craig Nolan, two Dallas Jesuit standouts, and two great friends." "Coaching and giving young players an opportunity to compete brings me great joy. Perhaps this attitude is a product of my playing days. I was not the biggest, strongest or fastest athlete. I just practiced longer than most." "Coaching with my former teammate at Butler University, Alan Eberstein"
Notre Dame Rising Sophomore Tournament (2008): "Overcoming a tough, undefeated Long Island Express and winning the tournament with an 8-0 record was a tremendous experience. To my knowledge, this may be the first time a Texas Team has ever beaten any high school team from Long Island." 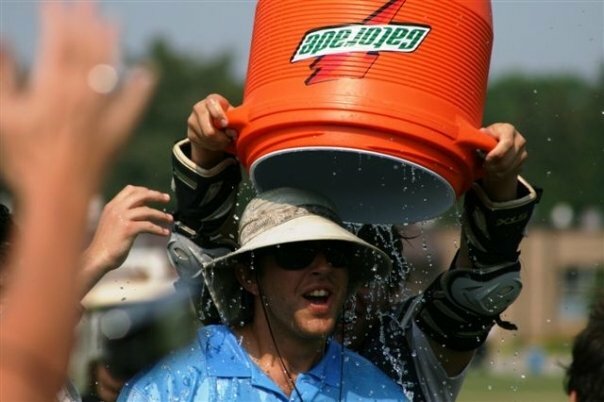 University of Denver Tournament (2008): "Lead by Ross Gillum, we posted the best record (5-1) in the toughest division of the high school group at the University of Denver Tournament was extremely rewarding." Winning the Youth City Championship (2008 & 2009): "Our Deuces (5th / 6th) squad has been blessed with hard working young men. We have been fortunate to beat St. Mark's in the championship game the last two years. They continue to work hard to establish a new precedent in the area."